At the end of each summer, I always feel YES! THEY ARE GOING BACK TO SCHOOL! There is usually a happy dance that quickly follows. Sometimes there is singing. This summer for some very weird reason is different. This summer was freaking fantastic. Sure there were some hiccups.There was the scare that Boo would have to have a second spinal surgery. There were meltdowns when she was on break from her program. This year there were more joys. We had company just about every weekend. Seriously the sheets in my guest bedroom have never been washed so often. When we were not company we were in Vermont. Twice. Once for a family reunion and once for the best ever family vacation where we were a normal family for a brief time. 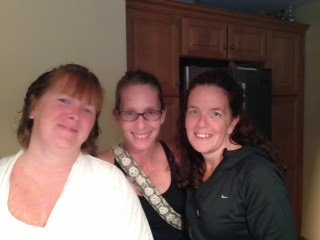 I had a visit from my best friends from Junior High School and from High School. They got to meet. It was epic. As in spending the night until 2am drinking wine and connecting. And forgetting we are all over 40 and had to get up with our children in the morning. Early the next morning. I knew they would get along. I do not know how I go so long in between visits from both of them. We all agreed we have to be better about reaching out to one another. That although we know we are there for one another, we have to remember to reach out and be needed. I did not embarrass myself in any of the obstacle races I ran. Although I did end up in the ER for stitches after a dish-washing mishap. Boo rocked her MRI. 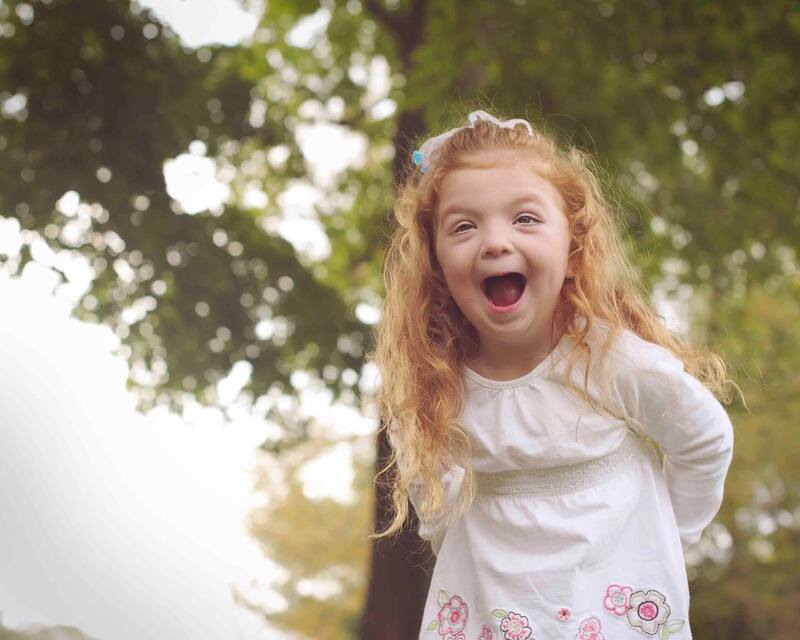 She rocked it so well that we learned her spinal cord is perfect and she will not need to have a repeat surgery. I did the ALS Challenge my way, explaining why I felt it was so important that the Challenge be more than just dumping ice on your head. My friend explained to me that it was supposed to be both: donate AND dump. When we looked back over our friends “challenges” though we realized how often the AND was left out. So I stand by my Challenge. Donate and dump ice. Please. Now. Abby had not one but three sleep overs. We all survived. My trick? Only one child can come over. That has been vetted with play dates to make sure they are not monsters that will destroy my house. Boo’s summer program was the entire month of July and some of August. A blessing for all of us. I am deeply grateful for the teachers and specialists who gave up their summers so my girl will continue to thrive. As I look over this summer I believe it is the first summer since I became a mom that I was present. That I didn’t use work to escape but to pay the bills. I was in the moment. Whether working with Boo to understand she could not have one more muffin or discussing if we would get a bunny. In a moment of weakness (or motherhood bliss) I said maybe. But it’s better than saying maybe you can get a pony. At the end of each summer I usually rejoice. This year I mourn the end of summer. 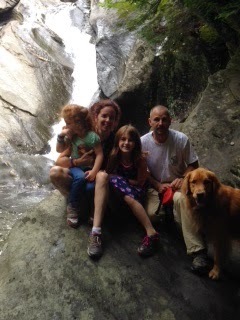 I want to be back there, in Vermont with my family. I want to be back there around the fire pit with friends. I want to be there on the beach watching Boo dance. I want that moment that she was whole. I want to wake up with no agenda other than to bask in the sun. At the end of each summer I always feel exhausted. This summer I feel fulfilled. It’s a good feeling and one I will remember to recapture. How would you finish the sentence: At the end of each summer I always feel…. This entry was posted in autism, Boston Children's Hospital, friends, FTSF, summer, vacation on September 5, 2014 by firebailey. I totally want it back too to be honest and yet I am moving forward and trying my best to keep up now and be oh so very present for both my girls – Emma with kindergarten and Lily starting her last year of pre-school now. So much ahead of us and just want to enjoy and be there for as much as I can now. I did not have that kind of summer this year, but I have in the past and I trust I will again in the future. Hard to let them go, but some of life's best memories! Glad you had such a great one. You had one amazing summer. I think that mostly, we did, too. I definitely did a good job of not stressing (much) about work and focused on making great memories for Tucker. We had the beach, amusement parks, water slides, a boardwalk, and I'm so so glad. I miss it and hope that next summer, I'm one of the reasons you're washing your sheets. Wait, that sounded gross. You know what I mean though! PS get her a bunny. And a pony. You are a lucky girl to feel that way at the end of the summer: fulfilled. I'm jealous. I also need to work on being present. We had a great summer, but I wish it had been longer, more relaxing and that I'd been present:). Seriously. My mind did wander, a lot. That is a fantastic summer! At least when you've done a lot, you've got all the memories. Tis better to have LIVED in summer and lost….and whatnot. I'm exhausted from our summer, but that's just b/c I have toddlers and I'm old. But we did do lots of stuff, too, so there's that. I get that, mine wanders more often than it should! Oh jeez, I just typed a long, eloquent comment and I don't think it went through….okay I'm trying again….I am so glad you had such a great summer! I truly felt the same way and could definitely relate to that feeling of being a “normal family” on vacation. I think you hit the nail on the head when you said you were “present” this summer. Under times of great stress, it's so hard to be in the moment because you're so f-ing anxious about EVERYTHING, but when things finally calm down, you can just BE and experience moments as they come. Now if only the school year is as pleasurable…one can only hope! I'm crossing fingers and toes that the school year if not pleasurable can at least be manageable! Mourning the summer means you had an awesome one, and I loved following all of your adventures on Facebook. Being present – that's the best gift you can give your kids and yourself. What a great summer! Doncha wish you could just package that stuff up, and let it out every now and again when you need a serious pick-me-up? Here's to a wonderful Summer 2015 for your family and you! I am happy to read that you had so many wonderful weeks this summer filled with bliss and happiness instead of being stressed out! I am also happy that you got to meet your friends! We normally do that each summer, too, but this year it did not work out and I am quite sad about that. Ohmygods how did you know my toddler is a sandmuncher? That sounded funnier in my head, and not as disgusting. Too true. What older kids lack in Cuteness, they make up for in not destroying your will to live! Well, until they become teenagers anywAy. Yes to the bunny! We got one when my son was 13 and she's still a loving member of our family 5 years later. She's extremely social and loves nothing other than to be stroked and talked too. So glad your summer was such a great success. Bring on Summer '15! Oh congratulations on a beautiful summer…& I can't believe you reunited with junior high friends. That is amazing.